A spiritual poster produced by ‘Omtentacle’, a studio partnership between myself and Dudley Edwards. This has very little to do with jazz, the subject was secondary to the spiritual message. 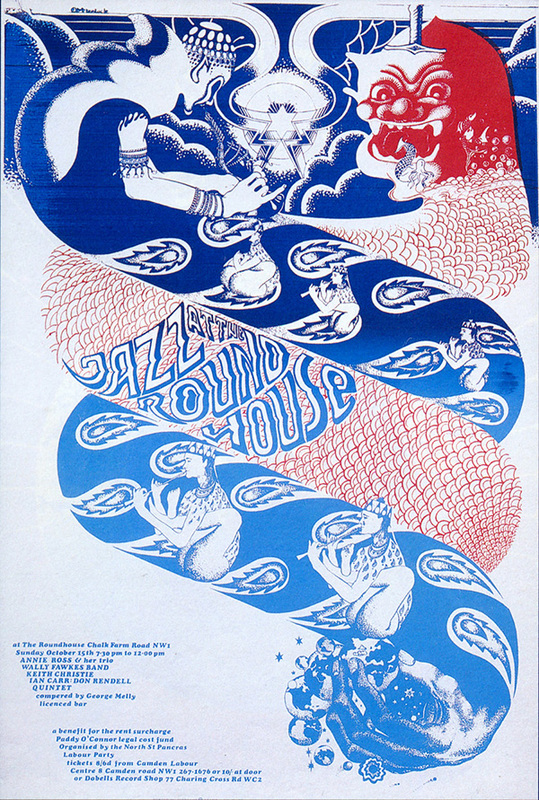 The two entwined snake forms depicting a struggle between good represented by music with a pan like figure in blue and evil in the form of a demon head in red. The symbolic idea rises up the poster from a hand at the bottom of the snake forms holding a world highlighting the cosmic struggle of opposites.